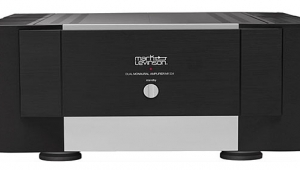 I was taken aback when I read J. Gordon Holt's rave review of the Boulder 500AE power amplifier last October. 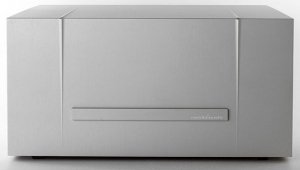 In comparing the 500AE with other high-end amplifiers (specifically Levinson, Krell, and Audio Research), JGH suggested that "...the Boulder 500AE will make acoustically produced music sound more realistic than any of these can." 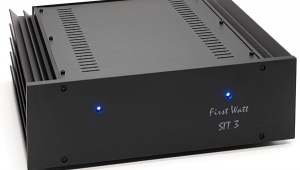 He continued: "After having lived with the 500AE for several months now, and attending symphony concerts locally from time to time, I contend that the 500AE has more of the ring of sonic truth than my recollections of those other amplifiers." JGH even liked the 500AE better than the VTL 300 monoblocks, amplifiers that he had previously felt to be the best he had heard. Having said that, JGH then asked the question, "But is it high-end?" 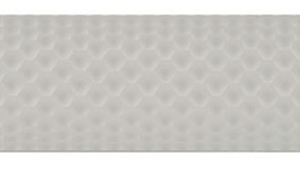 This query was based on JGH's belief that accuracy—fidelity to the original acoustic event—is not always a hallmark of what are generally considered state-of-the-art high-end designs. 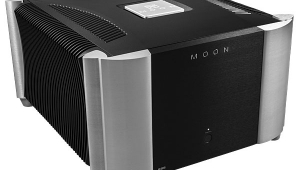 Indeed, the review provided the venerable JGH with a forum for arguing that many audiophiles are seduced by the sound of an amplifier that departs from neutrality—with neutrality defined by comparison with live acoustical ("serious") music. Further, JGH pointed out that the Boulder name doesn't evoke the same reactions in audiophiles as, to use JGH's examples, Levinson, Krell, or Audio Research. Finally, the 500AE was designed on paper, rather than in an iterative listen/design/listen process. I contended in my essay "Just What Is High End?" (July 1991, Vol.14 No.7) that it is the designer's musical sensitivity and dedication to recreating a satisfying musical experience that distinguish the high-end product. 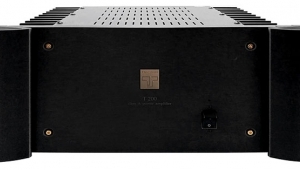 Clearly, then, the 500AE doesn't fit the usual idea of a "high-end" amplifier (footnote 1). So where does this leave the Boulder 500AE? 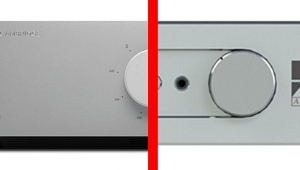 It is Stereophile's usual practice to commission a "Follow-Up" assessment of a product when the original review was either extremely positive, extremely negative, or otherwise controversial. 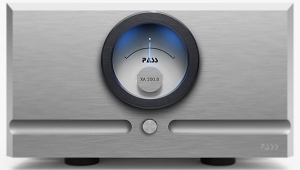 Because I've been auditioning two other solid-state amplifiers recently (the Parasound HCA-2200 and McCormack Power Drive DNA-1), John Atkinson asked me to take a serious listen to the 500AE. I auditioned the 500AE primarily with the Hales System Two Signature (sans the customary Muse Model 18 active subwoofer) and Spica SC-30 loudspeakers. 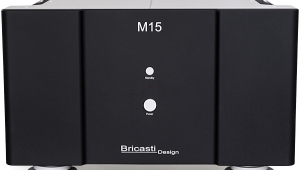 The 500AE was compared with VTL 225W Deluxe monoblocks, the McCormack DNA-1, and the Parasound HCA-2200. 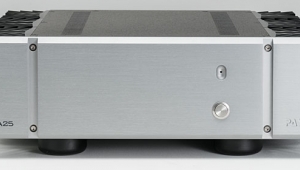 The preamp was an Audio Research LS2, fed by a Vendetta Research SCP2B phono stage and AudioQuest AQ7000 cartridge, mounted on a Well-Tempered Turntable and Arm. 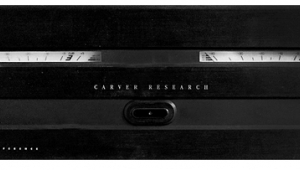 The digital front end was the Mark Levinson No.30, driven via the ST-type optical link from a Theta Data transport. Loudspeaker cables were AudioQuest Sterling/Midnight bi-wired pairs, and interconnects were Expressive Technologies IC-1, AudioQuest Lapis and Diamond, and Straight Wire Maestro. After an overnight warmup from the amp, I began the auditioning through the Hales Signatures. My first impression of the 500AE was strong and unmistakable; it sounded very much like the Threshold S550/e I reviewed in Vol.14 No.1. Like the Threshold, the Boulder offered rock-solid bass reproduction, a crystalline clarity (especially in the mids and treble), and, significantly, a vivid immediacy to its overall sound. 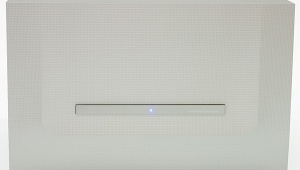 This last characteristic best describes what the Boulder 500AE is all about: the amplifier has a forwardness and incisiveness that put the musical presentation right up front. The 500AE provides a Row A perspective on the music. On the positive side, this type of presentation can have a palpable, arresting quality. On the downside, I felt the 500AE was a bit lacking in soundstage depth and the ability to reveal the bloom surrounding instrumental outlines. 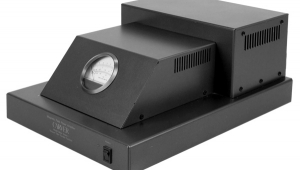 Instead, the presentation was toward the dry side of reality, without the liquidity heard from the Krell KSA-250, McCormack DNA-1, and (especially) the VTL 225W monoblocks. I found the 500AE extremely detailed, almost to the point of sounding etched. Detail tended to be thrust at the listener, rather than as subtleties to be explored and discovered. Violins had a bit of a steely quality, and high-frequency transients had a hard edginess. All these characteristics combined to make the sound of the 500AE a little fatiguing in relation to the VTL, McCormack, or Krell amplifiers. The bass reproduction was superb by any measure. The 500AE had both powerful extension and the ability to convey bass "speed" and articulation. 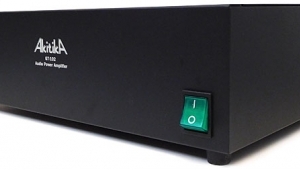 Although the 500AE gave a greater feeling of weight and slam compared with the McCormack DNA-1, I felt the latter amplifier superior at conveying rhythm and pace. There is little disagreement about the amplifier's sonic characteristics; I heard exactly what Gordon described in his review. In a recent phone conversation with Lewis Lipnick (held after I had auditioned the 500AE), he too expressed identical impressions of the 500AE's sound. Where Gordon and Lew and I part company, however, is in making value judgments about what we all heard. I felt the 500AE was too up-front, and lacked the ability to reveal space and depth. Further, its presentation of detail was, in my opinion, exaggerated and unmusical. Gordon and Lew both felt this kind of presentation was a more realistic portrayal of the original musical event (footnote 2). Because Gordon emphasized so emphatically that he reached his value judgments about the 500AE using recordings he himself had made of acoustic instruments, I should add that I, too, evaluated the 500AE with my original recordings of acoustic instruments. I wholeheartedly agree with him that there is no substitute for using one's own recordings in evaluating playback equipment. But listening to my guitar and double bass recording on the first Stereophile Test CD, for example, it was obvious that the VTLs reproduced a sound much closer to what I remember the original event as sounding like than did the Boulder. Through the latter amplifier, the guitar was thrust forward in the soundstage, with the Loretto Chapel's acoustic seeming to shrink in size. Further, the 500AE tended to exaggerate the attack of the strings, imparting a slightly metallic character to transients. With the VTLs back in the system, the guitar had the warmth, bloom, gentleness, and delicacy that I remember hearing when making this recording. There is no question in my mind that this recording—and other acoustic recordings I have engineered—were more faithfully reproduced by the VTLs than by the 500AE. In the case of Lewis Lipnick (who is, if you didn't know, the contrabassoonist with the National Symphony Orchestra), his reference of live acoustic instruments comes primarily from sitting in the middle of an orchestra. 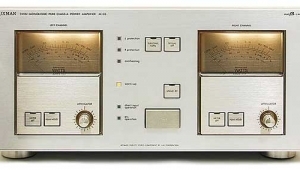 Indeed, the 500AE tends to move the listener much closer to the front of the hall—and closer to the reference point Lew uses in judging the fidelity of reproduced sound. Such a real-life perspective will always sound drier, more forward, and have far greater detail—just like the 500AE's presentation (footnote 3).